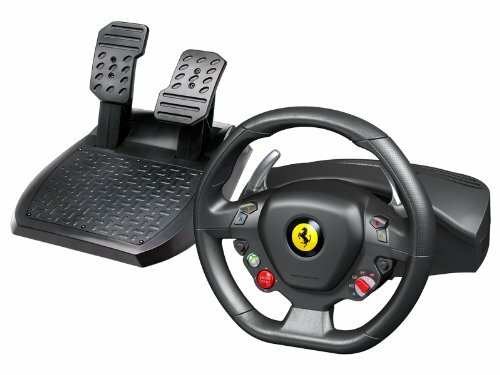 Xbox 360 paddocks, clear the way for a sweeping arrival – the Ferrari 458 Italia Racing Wheel for Xbox 360 by Thrustmaster! 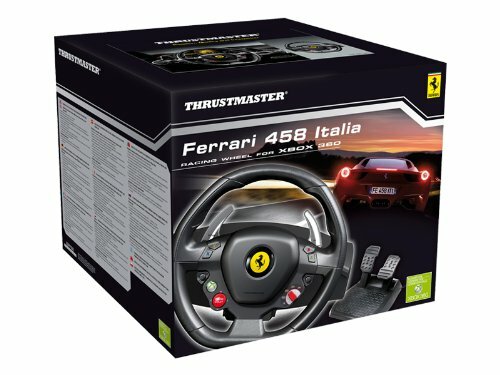 While this new release doesn’t feature dual carburettors or overhead camshafts, it does boast two official licenses from Ferrari and Xbox 360 – an exclusive worldwide collaboration. 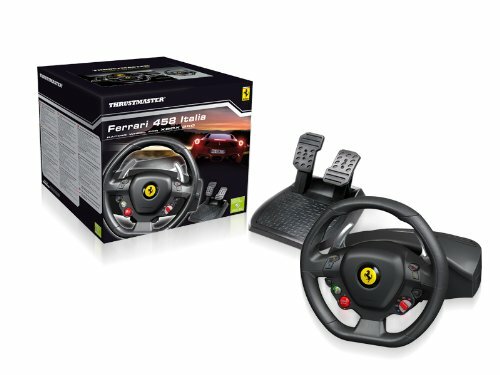 A replica of the wheel equipping the Forza Motorsport 4 hero vehicle, the very official F458 Italia, this racing wheel provides the ideal combination to enjoy a truly immersive gaming experience – a must-have for true motor racing enthusiasts! 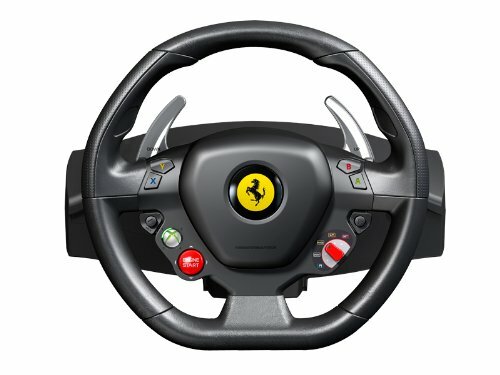 The racing wheel’s 28 cm diameter wheel and rubber-textured grip will enable drivers to improve their best lap times consistently, with optimum comfort. 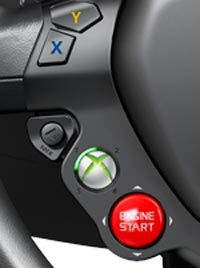 Gears are shifted up and down using the wheel’s built-in metal gear shifters. Unrivalled realism and detail are supported by the presence of a “Manettino” dial enabling users to modify certain in-race settings (such as changing player views in Forza Motorsport 4).